For each visa application for a child under the age of 18, the Parental Permission (Autorisation Parentale) form Togo Autorisation Parentale must be complete by both of the child’s parents. No application for a child will be completed without this form. A valid, signed US passport. The passport must have at least 6 months remaining after the completion of your stay in Togo. A visa fee of $140.00 per visa must also be enclosed. The $140.00 fee can be paid with a money order or certified check. Personal checks will not be accepted. 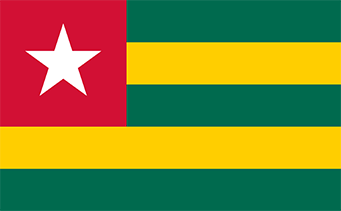 The TOGO tourist or business visa is usually valid for multiple entries for three months from date issued, for a stay up to one (1) year, at the discretion of immigration authorities on arrival.